PDF file 6 MB Best for desktop computers. mobi file 9.8 MB Best for Kindle 1-3. What are the most promising technical tools for making predictions about criminal activity, and what are the most promising tactical approaches for acting on these predictions? What tools and methods have been used by law enforcement agencies, and what lessons can be drawn from those experiences? Which crime problems are best suited for predictive policing, and what questions should police departments ask when deciding which tool or method to use? What are the limitations of predictive techniques, and what pitfalls should departments avoid? 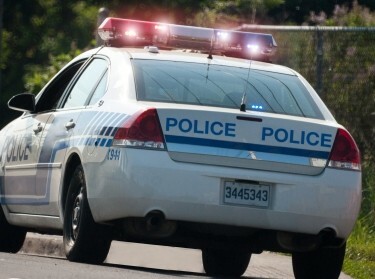 Predictive policing is the use of analytical techniques to identify promising targets for police intervention with the goal of preventing crime, solving past crimes, and identifying potential offenders and victims. These techniques can help departments address crime problems more effectively and efficiently. They are being used by law enforcement agencies across the United States and elsewhere, and these experiences offer valuable lessons for other police departments as they consider the available tools to collect data, develop crime-related forecasts, and take action in their communities. This guide is one in a series of resources sponsored by the National Institute of Justice to help police departments develop strategies to more effectively prevent crime or conduct investigations. It provides assessments of some of the most promising technical tools for making predictions and tactical approaches for acting on them, drawing on prior research, information from vendors and developers, case studies of predictive policing in practice, and lessons from the use of similar techniques in military operations. It also dispels some myths about predictive methods and explores some pitfalls to avoid in using these tools. Predictive policing is a topic of much enthusiasm and much concern, particularly with regard to civil liberties and privacy rights. As this guide shows, these tools are not a substitute for integrated approaches to policing, nor are they a crystal ball; the most effective predictive policing approaches are elements of larger proactive strategies that build strong relationships between police departments and their communities to solve crime problems. Predictive policing methods fall into four general categories: methods for predicting crimes, methods for predicting offenders, methods for predicting perpetrators' identities, and methods for predicting victims of crime. Each category includes options for large departments that handle large amounts of complex data and for smaller departments that require only basic tools to manage and visualize small amounts of geospatial data. Available methods range from basic heuristic techniques to sophisticated, cutting-edge mathematical models. Predictive policing methods are not a crystal ball: they cannot foretell the future. They can only identify people and locations at increased risk of crime. The operational value of predictive policing tools is in their contribution to broader law enforcement strategies that use the tools' risk assessments to inform resource allocation and problem-solving decisions. The collection and use of data on individuals has raised a number of concerns about privacy rights and civil liberties. An understanding of the legal precedent, along with regular audits, public outreach strategies, and greater community involvement and buy-in, have helped police departments address these concerns. Predictive policing tools should be compatible with the data needs and capabilities of individual law enforcement agencies. Small agencies investigating few crimes are unlikely to need much more than core statistical and display capabilities. Larger agencies with large volumes of incident and intelligence data will want to consider more sophisticated systems. They may also want to consider how well the systems disseminate and display key supporting information on recent crime and disorder, intelligence, and policing activity, in addition to the predictions themselves, to better support decisionmaking at all levels. Developers should be aware of the major financial limitations that law enforcement agencies face in procuring and maintaining new systems, and they should avoid promising crystal ball–like capabilities when it comes to these systems. To be effective, predictive policing must include interventions based on analytical findings. Successful interventions typically have top-level support, sufficient resources, automated systems providing needed information, and assigned personnel with both the freedom to resolve crime problems and accountability for doing so. In all cases, law enforcement agencies should respect civil liberties and privacy rights. When implementing a predictive policing strategy, they should use good judgment in sharing information about possible offenders and victims, and they should work to involve and educate the community to address these concerns. The research described in this report was sponsored by the National Institute of Justice and conducted in the Safety and Justice Program within RAND Justice, Infrastructure, and Environment. Perry, Walter L., Brian McInnis, Carter C. Price, Susan Smith, and John S. Hollywood, Predictive Policing: The Role of Crime Forecasting in Law Enforcement Operations. Santa Monica, CA: RAND Corporation, 2013. https://www.rand.org/pubs/research_reports/RR233.html. Also available in print form.